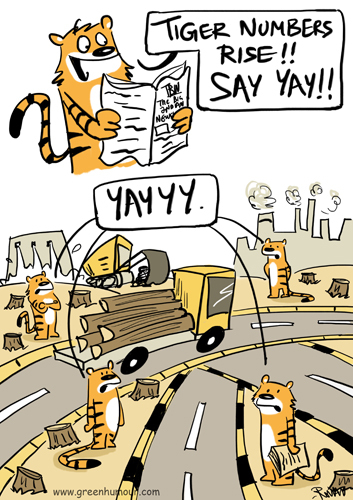 Green Humour: Tiger numbers rise- Say Yay! Tiger numbers rise- Say Yay! One from my column with The Hindu's BLink today.